If you are over in the Richmond area on Saturday September 8th please stop by NIAD Art Center and pull a print! 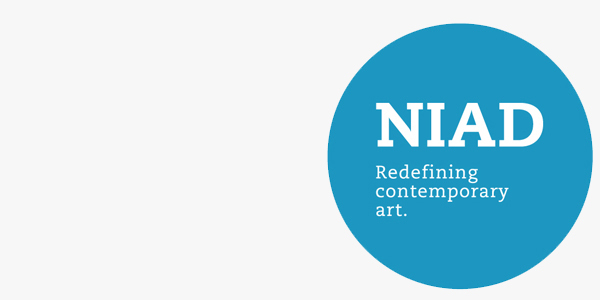 I have been working with NIAD resident artists to create a free interactive poster featuring their artwork. 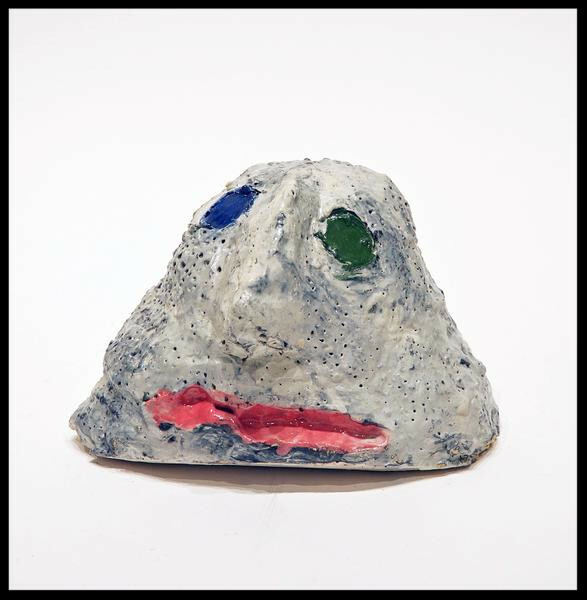 The event runs from 1pm – 4pm and is tied into the opening for the exhibition Talking Heads. Eight Bay Area artists use ceramics as a means of social expression, humor and political context while also creating a dialogue among each other with a focus on figuration. Independent curator Susan Alexander has chosen objects that engage the viewer through subject matter, color and expression. Included in “Talking Heads” are Julio Del Rio, Raven Harper, Joe Kowalcyck, Tony Natsoulas, Jeff Nebeker, Tiffany Schmierer, Piper Snow, and Jonathan Velazquez.Susan Alexander is an independent curator working in the Bay Area. She has a specific focus on Art Brut and Outsider Art. Susan was a pivotal co-curator for the symposium on Outsider Art “Altered States, Alternate Worlds” with Creative Growth and the Oakland Museum of California and curated “Color Magicians” at College of Marin. Since 2012, Alexander has maintained an online gallery. This is the second exhibition Susan Alexander has organized at NIAD Art Center. Recently, our printmaking department has been producing some really amazing works from Helisi Noel-Johnson, Sara Malpass, and Shantae Robinson among others. We’re delighted to show you a brief overview of what they’ve been up to. Oakland-based artist Mary Mortimer started out as a painter. 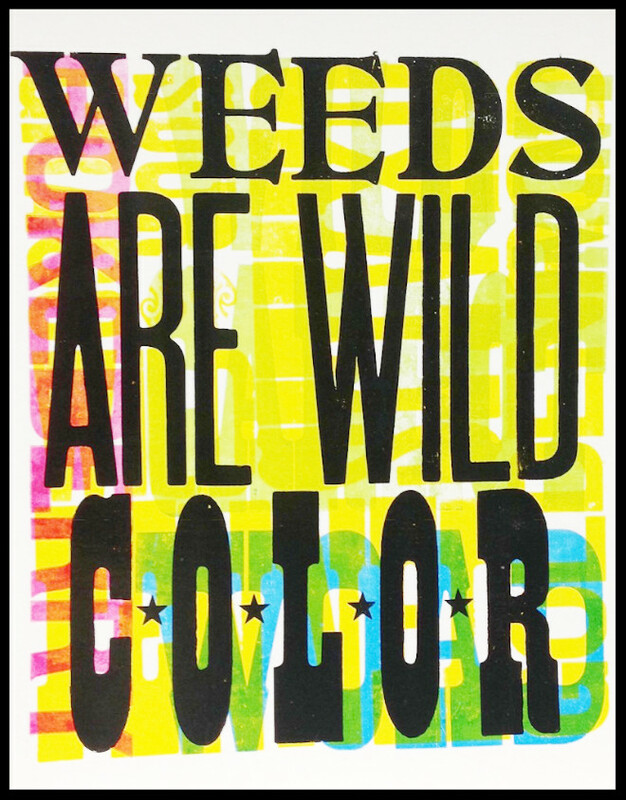 Inspired by mentors Amos Kennedy and Alan Kitching, she’s been able to explore painting using type and ink. Every print of Mortimer’s is an artist’s proof, hand-inked and unique within the edition. Some are even printed over recycled prints. All of the type she uses is antique wood or metal and all prints are made using vintage presses in a variety of shops. 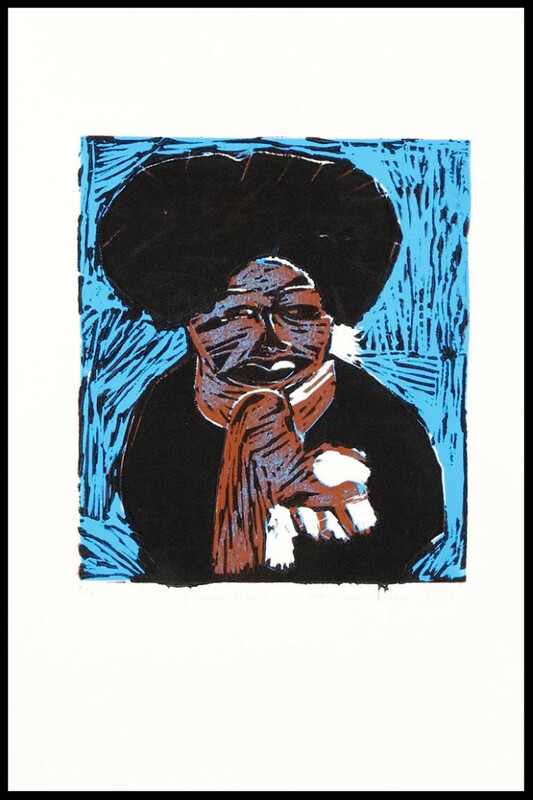 NIAD is honored and delighted to be showing more than a dozen recent works from Mortimer.Originally from New York, Mary Mortimer is a printmaker and fiber artist. You can see her work at The Compound Gallery and Studios. 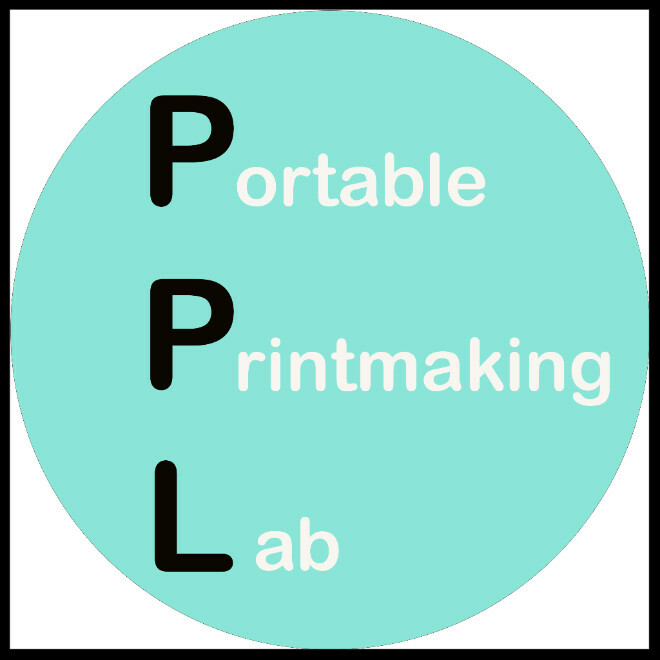 For one day only, at the exhibitions’ opening receptions, we’ll be host to Peter Foucault’s Portable Printmaking Lab (PPL).In 2017 Foucault created PPL, a teardrop trailer that can travel throughout the West Coast and roll out into an interactive pop-up printmaking station. For this current iteration Foucault will be collaborating with NIAD artists to create a series of free custom posters. Peter Foucault creates works on paper, videos, performances and installations that are fueled by his love of drawing and mark making. His work is concept driven, and often utilizes objects that reference printmaking and multiplicities. In addition to his own practice, Foucault is the Co-Founder of the Mobile Arts Platform (MAP), a Bay Area based artmaking and curatorial team that creates interactive “pop-up” mobile exhibitions and performances that directly engage the public. Foucault has participated in numerous exhibitions nationwide and his work has been included in group shows at the Getty Museum and Getty Villa, Oakland Museum of California, Torrance Museum, Yerba Buena Center for the Arts, Marine Contemporary, Smithsonian Institutes’ Freer and Sackler Gallery, Kit Schulte Contemporary (Berlin, Germany), The University of Salford (Manchester, England), and The Orange County Center for Contemporary Art.